Lok Sabha Elections 2019: The Udhampur Lok Sabha constituency covers six districts of Jammu and Kashmir. Voting for the Udhampur Parliamentary seat (PC-4) will take place in the second phase of General Elections 2019 on April 18. The Udhampur constituency consists of 17 Assembly constituencies. These include Kathua, Kishtwar and Doda among others. Lok Sabha Elections 2019 Schedule: Voting In 7 Phases From April 11 to May 19, Counting And Results On May 23; Check All Dates For General Elections. The candidates for the 2019 poll on the Udhampur seat include Dr Jitendra Singh of the Bharatiya Janata Party (BJP), Tilak Raj Bhagat of the BSP and Vikramaditya Singh of the Congress. The last date of filing nomination on this seat was March 26. The last date for withdrawal of candidature was March 29. Polling for this seat will take place on April 18. 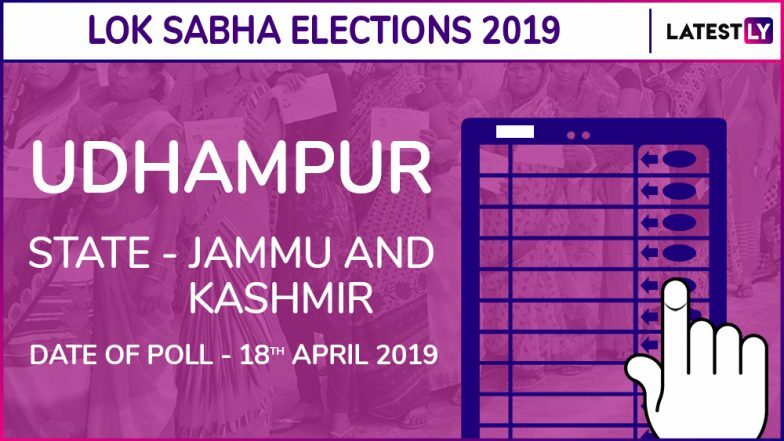 Jammu And Kashmir Lok Sabha Elections 2019 Dates: Constituency-Wise Complete Schedule Of Voting And Results For General Elections. While the seat was a stronghold of the Congress till 1995, the Bharatiya Janata Party (BJP) began giving it a tough fight from 1996. In the Lok Sabha Elections 2014, BJP's Dr Jitendra Singh won from Udhampur, defeat senior Congress leader Ghulam Nabi Azad. Singh is the sitting MP from Udhampur. The 2019 Lok Sabha Elections will take place across India between April 11 and May 23. While voting will take place for 543 Lok Sabha seats in seven phases between April 11 and May 19, the counting of votes will take place on May 23.